Marcelo grew up in Brazil in a mountain city called Nova Friburgo, about 2 hours outside of Rio de Janeiro. He spent nearly all of his time training and competing in Brazilian Jiu-Jitsu since he was about 16. Although he had spent years coaching BJJ, his professional coaching career began in 2007 when he received a special invitation to train and coach in the United Arab Emirates. At the time, he was one of the original members of the 6 man team who launched the widely popular Emirates Jiu-Jitsu programs, making UAE one of the biggest Jiu-Jitsu hotspots in the world. Marcelo originally started training Judo when he was 7 years old. He trained for about 3 years before stopping, and eventually found his passion while training Brazilian Jiu-Jitsu starting at about age 13. When he was 17, he achieved the rank of blue belt. It wasn’t until 2005, when Marcelo was 27 years old, that he earned his black belt in BJJ. (At most reputable BJJ academies in Brazil, it typically takes between 10 and 12 years to get to black belt. This surprises Brazilian BJJ black belts when they come to the US and other places only to discover that, oftentimes, businesses will promote quickly to retain students and earn more income.) So in 2007, Marcelo was at the height of his competitive career in BJJ. He was a 3 time Rio de Janeiro State Champion, had won a silver medal at IBJJF Brazilian Nationals, and had also earned a bronze medal in the adults division of the World Championships (CBJJO) at brown belt. Having graduated with a degree in Physical Education with a focus on Early Childhood Development, he was working as a children’s PE teacher when he was presented with opportunities to work abroad. Marcelo had the choice of working for a renowned, professional MMA fighter living in Hawaii as part of his BJJ training team, or working in UAE training the Special Forces and instructing at ADCC (Abu Dhabi Combat Club). Passing up the chance to live in Hawaii, Marcelo left Brazil and moved to Abu Dhabi in 2007. Upon arrival in UAE, Marcelo was one of only six BJJ black belts who had been brought from Brazil to work on the Crown Prince’s Brazilian Jiu-Jitsu projects. During his 4 years working in Abu Dhabi instructing Special Forces, he also taught classes at ADCC (the most famous grappling club in the world, also affiliated with the distinguished ADCC invitation-only grappling Championships), and even instructed at other academies in Dubai and held private lessons on his days off. 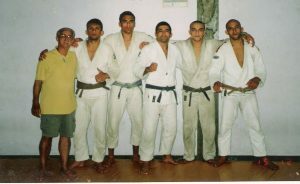 Marcelo was part of the original team that launched the national initiative to add BJJ to regular school curriculum in the Emirates. In 2009 his team of 6 hired 40 BJJ black belts from Brazil to come and instruct at the schools’ BJJ programs. Now there are over 500 BJJ black belts from Brazil living and working in UAE teaching school children BJJ. While in the Emirates, Marcelo began competing again and won silver in the Emirates Cup. As the landscape with Marcelo’s position began to change in Abu Dhabi, he decided to relocate to the United States with his wife. Colorado Springs was chosen as the location to open a school. Marcelo Motta became the only BJJ black belt from Brazil to instruct in the city. 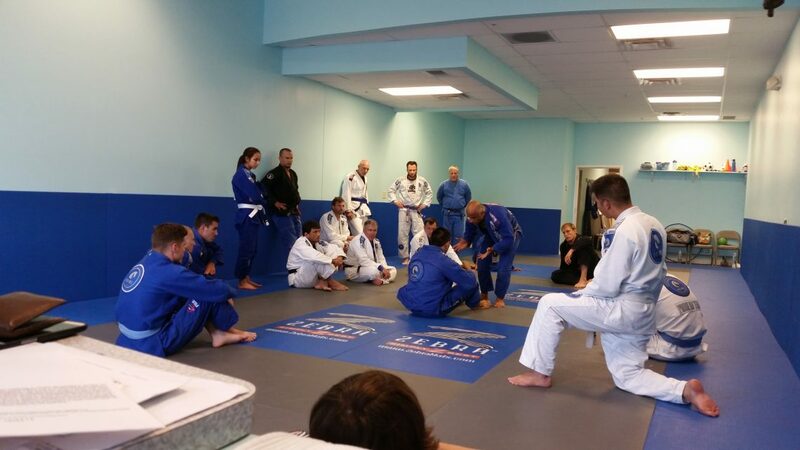 Prime Brazilian Jiu-Jitsu opened in February 2012, and has been growing steadily since. Originally, Prime BJJ opened on the north end of the city in a small shopping complex – the training area was only about 1,000 square feet. The Prime team quickly outgrew the space and the business expanded in 2015 to a 3300 square foot training center outside the south gate of the United States Air Force Academy. 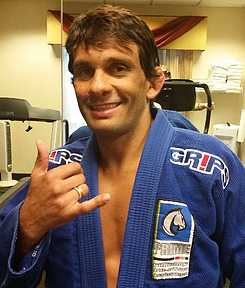 Since opening Prime, Marcelo Motta has produced 5 IBJJF World Champions among his students. Now, the students at Prime number nearly 300. The school opened with only a few class times per week in 2012, now there are 43 training sessions available to student each week. Some of the cities best athletes have trained at Prime BJJ, to include Olympic medalists, national wrestling champions, and professional MMA fighters. He continues to travel around the United States and back to Brazil every year in order to keep his training sharp and updated. Marcelo feels passionately about being a positive role model to the kids who train at Prime BJJ, he enjoys teaching them to love BJJ, adopt healthy habits, and improve their self confidence. He also enjoys watching his adult students discover their passion in training BJJ, and watching them succeed in the sport whether it is competitively, or otherwise for the daily battles they fight to improve personally, become healthier, and find a positive outlet in their lives.